After the first two match days of the Euro 2020 qualification, Kazakhstan holds the fourth place in Group I and surprised with a 3-0 win over Scotland. Is the team on its way to their first UEFA Euro tournament? Nobody expected Kazakhstan to start the kick-off of the Euro 2020 qualifiers with a win over the Scottish National team in Nur-Sultan. 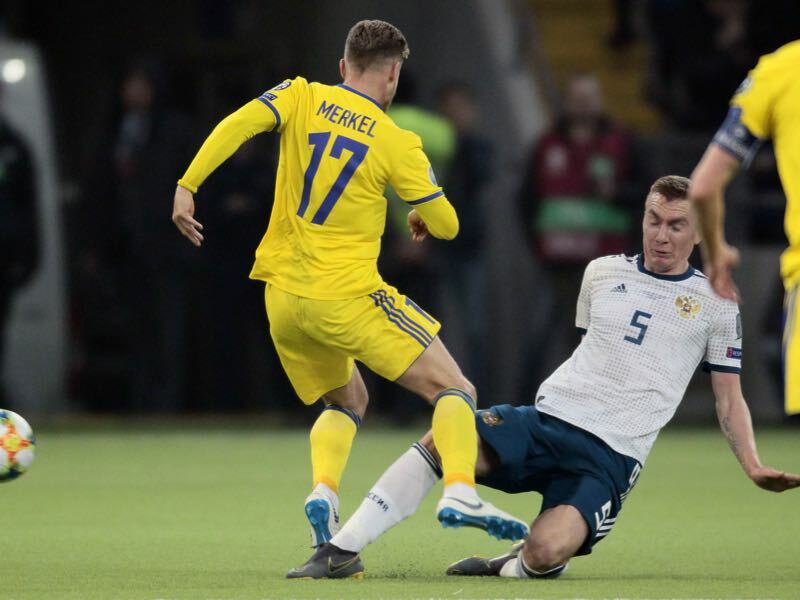 Scotland did not stand a chance: forward Yuri Pertsukh scored the first goal for the Kazakh team after just six minutes. This was followed by another goal when the Kazakh team captain Islambek Kuat made a cutting pass to Yan Vorogovskiy who eased it past Scottish goalkeeper Scott Bain. After Kazakhstan scored again in the 51st minute, it became clear that there was no hope for Scotland. Michal Bílek, who had only become head coach of Kazakhstan in January 2019, was satisfied after their first match. At a press conference, he told journalists that the team was in a good mood and he hoped to continue their form into the second matchday, where they would face Russia. Kazakhstan showed their strength at kick-off but the team but could not follow-up with the same performance in the second matchday. On the 24th of March, the Kazakh team was defeated by Russia by 4-0. That raises the question: was the victory over Scotland just good luck? Or will the team be able to surprise again when they play Belgium in June? 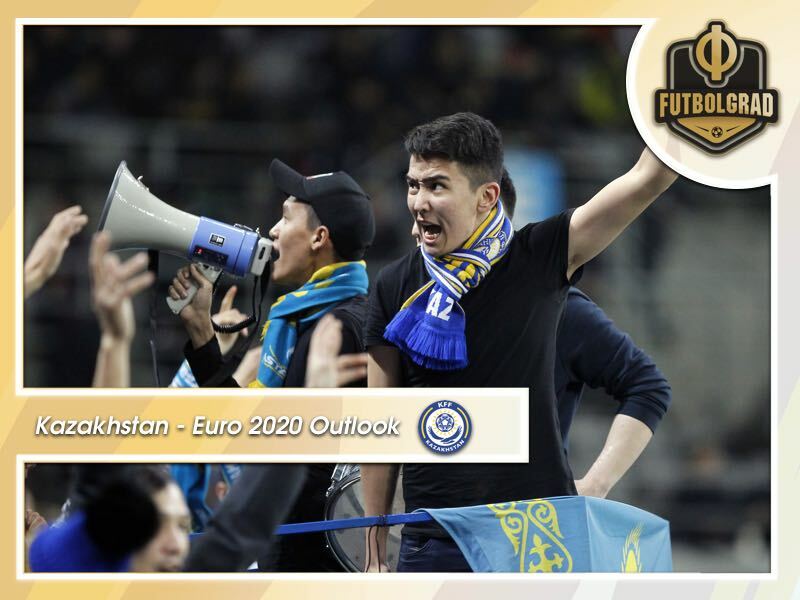 Looking back over the history of the Kazakh team, it would be a big success for Kazakhstan to qualify for Euro 2020 since they have never played in an international competition before. After the country’s independence in 1991, the country created its own national team. At first, they joined the Asian Football Confederation (AFC) with the intention to qualify for international competitions. The country, however, struggled to make significant progress in their football development. In some ways this has been correct. FC Astana, now named FC Nur-Sultan after the name of the capital was changed last month, have regularly qualified for the group stages of the Champions League and the Europa League. The country’s next step would be qualification for the national team. At the moment the Kazakh team is ranked 116th in the FIFA rankings – so winning against Belgium, who are currently ranked in first place, seems really unlikely. For those who want to make a bet, betting platforms like https://www.mrgreen.com/en/ show that the odds are definitely not in Kazakhstan’s favor, but maybe Bílek’s team will surprise again. At least they still have time to train and get back to their strength before the game on the 8th of June. On matchday 1, Kazakhstan showed that they are ready to play in international competitions. With the right amount of self-esteem and a coach that is able to analyze the strengths and weaknesses of the opposition, they might even stand a chance in their group. Later this year the team will face the rest of the group, San Marino, the team with the lowest FIFA ranking, and Cyprus. One thing is for sure: there is still a long way to go before Kazakhstan’s first international tournament.